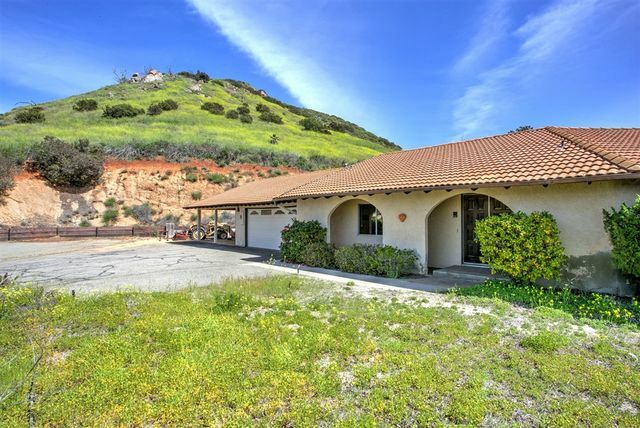 Single story ranch perched on a private lot where your home is hidden from neighbors. 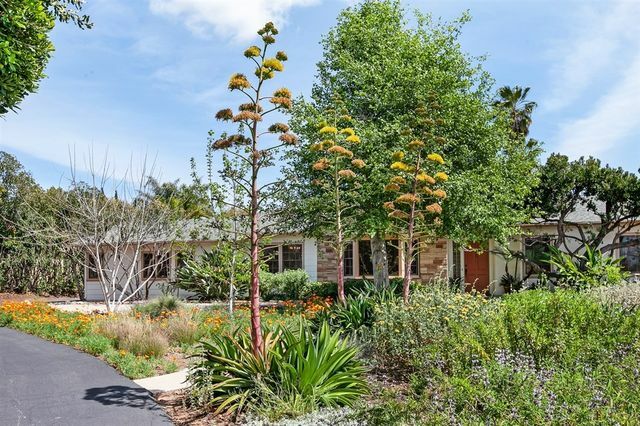 Completely remodeled inside with a kitchen that would even make a chef envious! All new modern grey cabinets and SS appliances including a 36" range. The luxurious master is the size and feel of a spa with dual shower heads and a large jacuzzi tub. Brand new pool with a completely landscaped backyard ready for your housewarming party complete with a built in BBQ, Firepit and area for corn hole, horseshoe or bocci ball. Imagine your future located at the end of lane with privacy on over 5 acres. There are 4 bedrooms, pool and workshop overlooking beautiful hills towards the sunset. There is a carport in addition to the 2 car garage. Plenty of room for RV parking too. 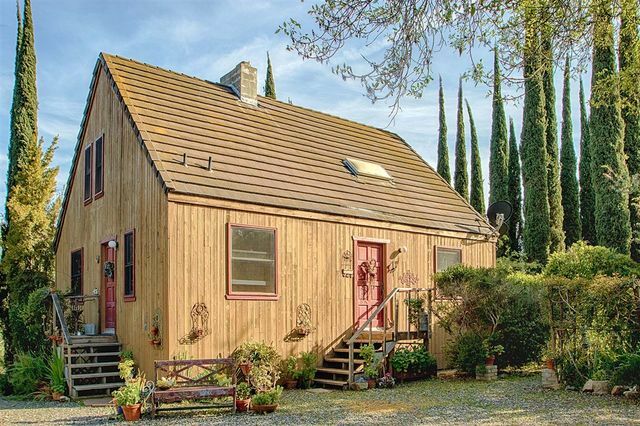 With a little effort this could be your forever home. Come see the possibilities. 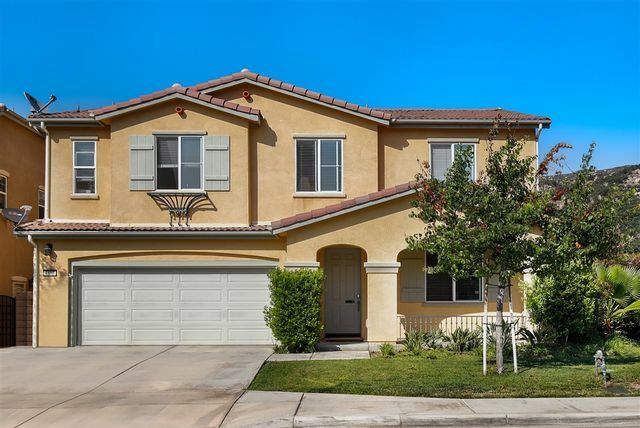 The beautiful single level home in sought after Hillcrest Estates, is located in a quiet cul de sac,offers privacy and spacious living. 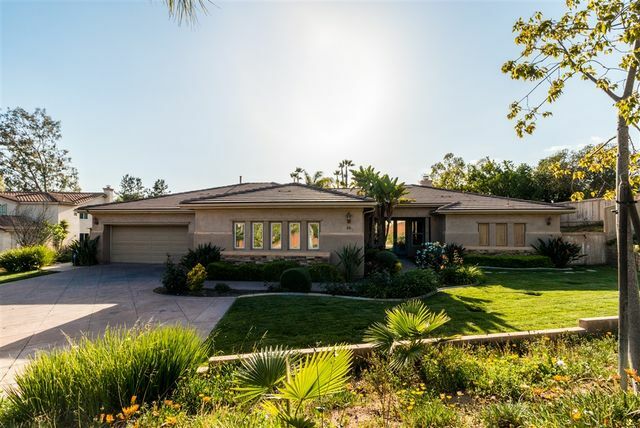 As you enter the home, you are greeted with a spacious family room that flows into the upgraded kitchen, and beautiful pool views!The 4BD, 4 1/2 BA home offers 2767 sq feet of open living space,dining rm or office,pool,sauna and large covered patio. 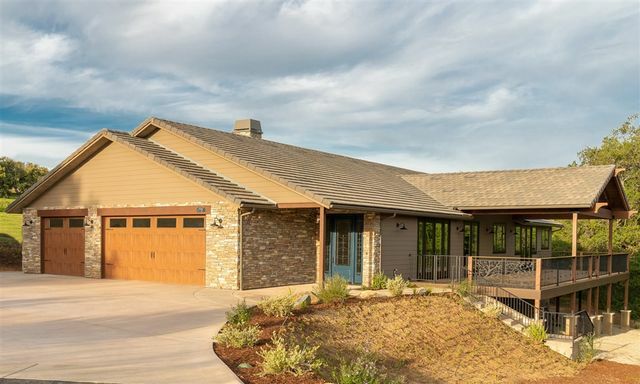 3 Car garage, laundry room, fireplace, and more! Each bedroom is like its own indiv suite...Its a must see!No HOA fees. Lovely single story ranch home on large level lot. Detached 20x25 workshop, fully finished with electric. Remodeled kitchen with custom cabinets, quartz counters and Bosch appliances. Hardwood red oak flooring. Office, laundry room with extra frig and large closet. Loads of built in storage throughout this home. Red brick patio with alumawood cover, carport& lots of parking. Brick fireplace, central hvac (2 units). Family fruit trees, huge macadamia tree. Mature landscaping, automatic irrigation. Welcome Home. 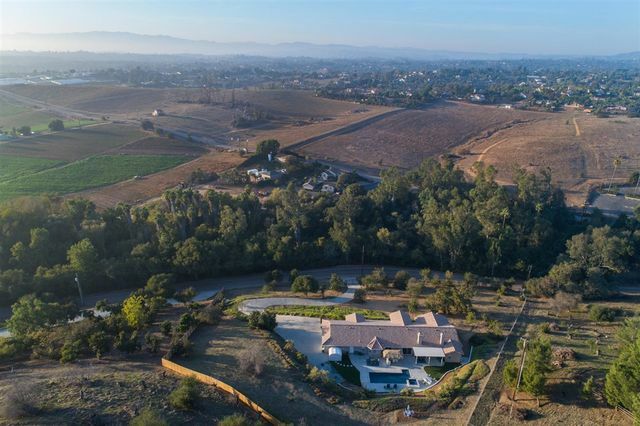 Premium corner lot in the highly sought after community of Lake Ranch Viejo. Property features an open floor plan with many upgrades throughout. Arched doorways, recessed lighting, and large windows that bask the home in an abundance of natural light. Open concept kitchen features beautiful granite counter tops, stainless steel appliances, and warm cherrywood cabinetry, plus a granite topped island that offers additional storage and seating. 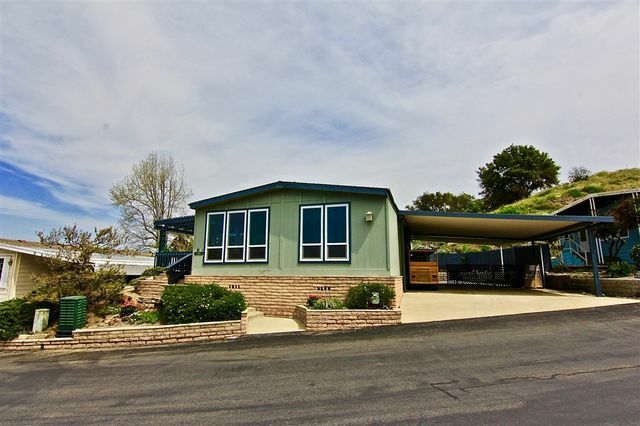 Rancho Monserate Country Club, free golf, tennis, RV storage, lots of amenities and activities in this 55+ friendly community. This home has been upgraded and is turn key, well priced and ready for a new owner. Low maintenance, low HOA and YOU OWN THE LAND. 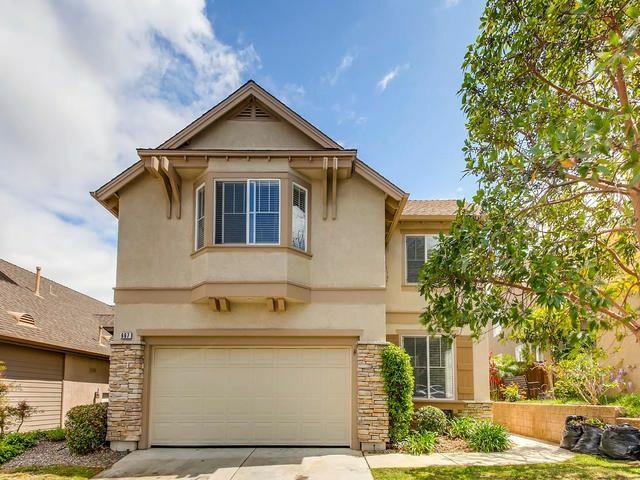 Beautiful Two Story Home in Poets Square in Fallbrook. This bright open floor plan features: Upgraded Kitchen Counter Tops in the Kitchen, Wood Laminate Flooring on the First Level, Upstairs Office, Upstairs Laundry, Private Back Yard, Down Stairs Bedroom and Full Bath, and a large Back Yard. Close to everything!